The more ‘about pages’ were the extra information pages included on Petalina’s original website providing photos of the dolls without clothes to show their build and measurements. 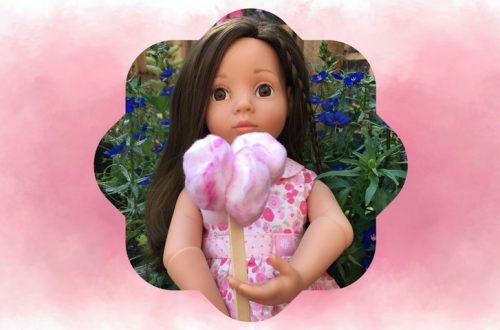 A Girl for All Time was launched in 2012 by Frances Weeks Cain, a London based Mum who could not find interesting but feminine toys for her then 10 year old daughter. 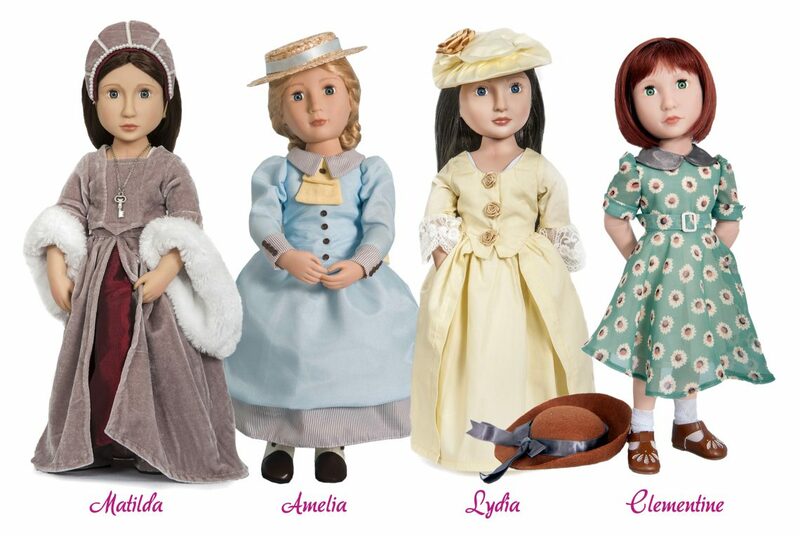 With an interest in history and ancestry, Frances came up with the idea of a range of dolls that were all related and came with a story to bring their period of history to life. Matilda, Your Tudor Girl, was the first doll to be introduced. A truly unique and beautifully dressed doll that has captured the hearts of so many. She was closely followed by Amelia, Your Victorian Girl, Clementine, Your 1940s Girl, Lydia, Your Georgian Girl and most recently Sam, Your 1960s Girl. Each doll has arrived with a number of costumes, all of which have been carefully researched to ensure they are representative of the time. 2018 will see the launch of the last doll in the series, Elinor, Your Elizabethan Girl. 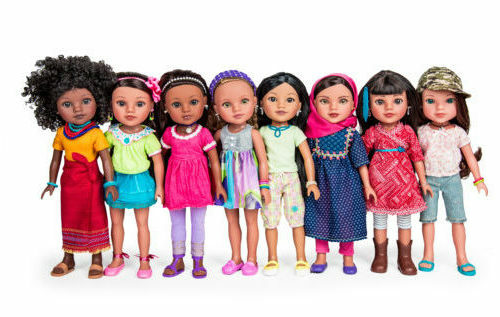 Being a huge fan of this stunning range, I am not in the least bit surprised that the dolls from A Girl for All Time have received so many awards. The dolls are 41cm/16″ tall and are made using phthalate free vinyl in China. The limbs have extra joints in their elbows and knees giving them a softer more natural look and a little extra posability. Their eyes are fixed open with long lashes on the top lid, and their hair is a kanekalon wig which is really well applied. Our customers used to ask regularly about the body size of dolls and which other clothes would fit. We found that many Kathe Kruse clothes and shoes for their 39-41cm dolls did fit together with the clothes and shoes for the Schildkrot jointed dolls (now discontinued). Body Measurements for the dolls for those of you talented with a needle and thread are below.